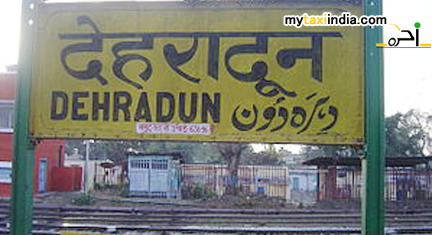 Dehradun railway station is a train station in Dehradun, Uttarakhand, India. It is situated precisely on the Northern Railway network’s Northern line. It is also the last station on the Northern railway line in the region. The station gets visits from many daily trains including Dehradun Express, Dehradun Jan Shatabdi Express, Allahabad Link Express, Dehradun AC Express, Dehradun Shatabdi Express, Doon Express, Dehradun Varanasi Express, Dehradun Amritsar Express, Kathgodam Express, and Dehradun Delhi Mussoorie Express. Dehradun is known to be the capital city of the Uttarakhand state in the northern. The city makes for an amazing sightseeing option for tour lovers looking a place for serenity and tranquility. Picturesque Dehradun attracts many tourists, pilgrims and amateurs from across the nation. Tapkeshwar Temple is a popular tourist site here. The ancient temple is dedicated to Lord Shiva. Robber's Cave (Guchhupani) is an attractive cave developed from a natural rift in a mountain. It has a cold stream flowing underneath to add to the beauty of the cave. Sahasratra Dhara is a confluence of many rivers. Laxman Siddh is an important tourist destination. The legends have it that a sage underwent penance in Laxman Siddh. Other must visit destinations here include Malsi Deer Park, Tapovan, and Kalanga Monument. Hiring a taxi in Dehradun will help you enjoy the tour in Uttarakhand and areas around better. Looking forward to pay a visit to Dehradun in near future? Allow us a chance to make the trip comfortable and pleasant. At My Taxi India, we believe in accommodating the latest technology and service standards to guarantee best in class car hire and railway transfer services to our esteemed patrons and potential customers. We have a fully equipped team of experts ready 24 x 7 for all your travel related concerns and queries. They will assist and guide you on enjoying a memorable trip to Dehradun and nearby regions. With us, you can expect the safest, most comfortable, and hassle free journey ever!